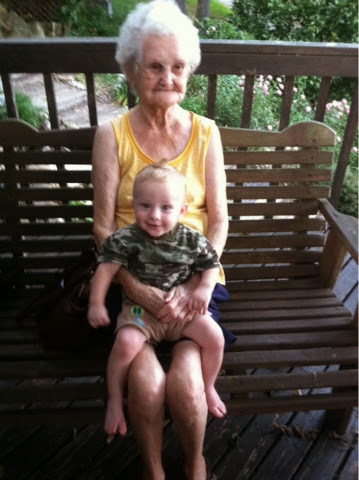 Got a pic of Grandma and get great great grandson! It is not often that my family gets together. My aunt had her birthday recently and came to my grandmothers for a get together. I happened to be in town with my dad as well to get my stuff from my storage unit so we got to join in the fun. It is nice when family can get together in peace because in this family it does not happen often.